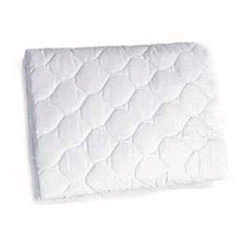 Fits Mattress: 15" x 33" x 4"
Irresistibly Soft For Baby's Delicate Skin! 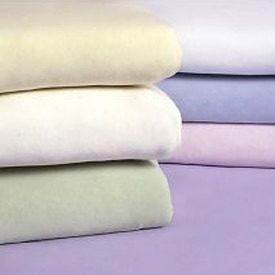 Pamper your baby’s skin with these 100% cotton jersey knit sheets. Super soft, comfy, and practical too – these great bassinet sheets maintain their color wash after wash and feature elastic corners for a super snug fit. I purchased three of these for our Cortina bassinet and they are a perfect match. Soft and comfy to the touch, I wish we could buy them for our queen bed! I was happy with this sheet for my baby's bassinet. I had SUCH a hard time finding the right size, even though it fits a 'standard' bassinet. I was so happy with it that I ordered another three. These are my favorite sheets. I purchased many different brands and materials over the years and this seems to beat them all. These are soft and stay soft after a wash, fits the mattress, and I believe just the right weight. The baby is in a sleeper and uses a blanket and I don't think he needs the extra heat from the sheet! I am so happy with these sheet for my grandaughter's bassinet. I was really concerned about finding the right size. These sheets are exactly what I was looking for! Thank you.